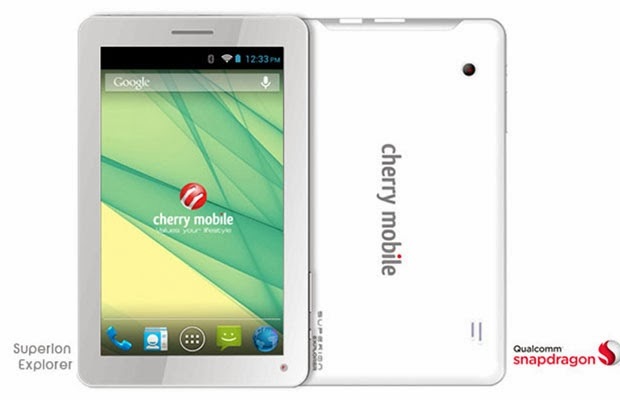 Just before the holiday season, Cherry Mobile introduces three additional tablets in their vast selection of devices. The scene-stealer among the pack is the Superion Explorer, the 3G-capable tablet which is strategically priced at Php 4,499. This latest Superion tablet succeeds the Discover and Voyager that were release months ago. This Jelly Bean-powered slate is a standard 7-incher. Under its belt, the 1.2 GHz dual-core MSM8225 runner manufactured by Qualcomm. It is then backed-up by an Andreno 203 GPU for graphic tasks. For "screen" users, this tablet might disappoint due to the fact that Cherry Mobile doesnt market this slate for the vividness of its display. It's the 3G connectivity that sets this puppy apart with 3000 mAh battery to keep you on the go for an ample amount of time. The latest tablet king, Fusion Bolt (review here), might have the lightning for great display and more affordable price but this tab could fill you in with you data needs anywhere without the need of connecting to WiFi.